British actress Emma Watson guest edits the latest issue of quarterly magazine Wonderland, which hits newstands 7 February. 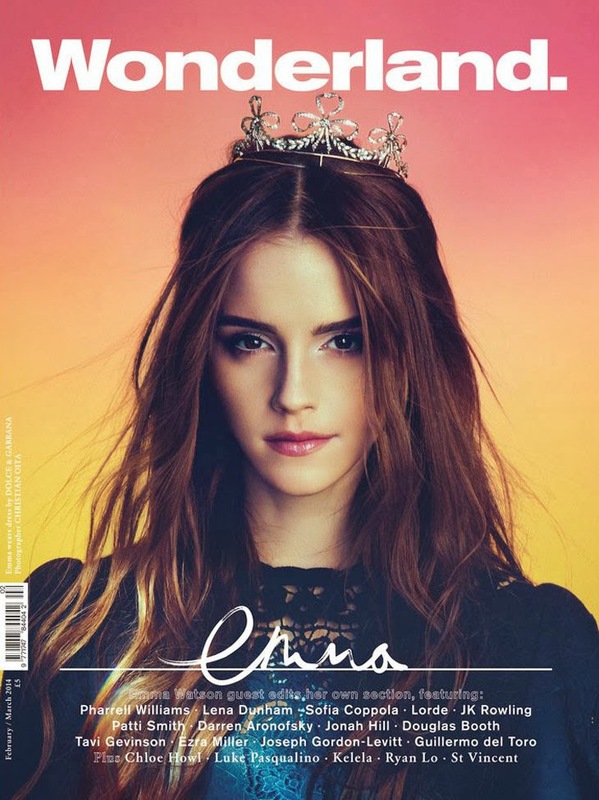 Hermoine Emma is both editor and coverstar as she graces two covers, one looking ethereal in Dolce & Gabbana with tousled hair and a silver crown ("Elf Alien Queen", she tweeted) and a one in 60s-ish mustard yellow, crystal-embellished Prada ("Afro Prada Bruiser"). She dives into her roladex, featuring content and interviews with J.K. Rowling, Sofia Coppola, Joseph Gordon-Levitt, Lena Dunham, Jonah Hill and the director from her latest movie Noah, Darren Aronofsky.